Driving digital transformation means not only keeping pace with innovation but leading the way. Being able to adapt quickly to changing market dynamics is critical, yet for many companies the technology that keeps them running is also holding them back. The legacy applications in use are often no longer fit for purpose when faced with the needs of the digital business and finding the right skills to make the most of new technology often leads companies to look for specialist support. New Signature can help transform your business across the full Application Development Lifecycle. From building innovative proof of concepts to creating bespoke, intelligent applications, our agile and lean approach delivers fast results. With a comprehensive range of planning, design & development, test & deployment and maintenance services, you can rest assured that we will help you benefit from faster time to market, increased scalability, greater efficiency, improved reliability, optimised customer experience and unlocked new revenue streams. Todays markets are being digitally transformed – act now to stay ahead. Applications Compass – a thorough analysis of your existing apps and processes to establish a personalised strategy for modernisation. Application Lifecycle Management (ALM) – assessment of systems and processes to identify areas for improvement including reducing costs associated with software defects and inefficiency. Proof of Concepts (POC) – quickly determine whether a new technology or approach is feasible with minimal investment and recommendations for next steps. 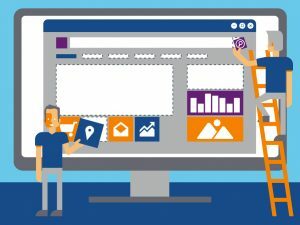 Bespoke Application Development – rapid development of high-end applications within Azure, iterating on your requirements and adapting to ensure your goals are met. Application Modernisation – maximise value from existing applications with minimum investment, limited disruptions and reduced risks by modernising legacy apps and migrating to Azure PaaS. Data and Analytics – Use your data to optimise business processes, identity new revenue opportunities and predict customer behavior with modern apps which harness the power of machine learning and AI to present powerful insight. DevOps -Take time out of the development cycle using best automation and QA practices to deliver reliable builds to market quickly. Application Support – For everything we develop we provide proactive support of your applications. Ready to modernise your applications? New Signature’s App Dev Compass planning service is a great place to start. It provides a thorough analysis and assessment of your existing apps and processes to establish a strategy for modernisation. As part of the assessment we provide a personalised report on your current state, identifying opportunities, problem areas and risks coupled with recommendations for fast time-to-value.